Looking for a great comedy to watch this coming Metro Manila Film Festival? If you want to be entertained and need a good old laugh this Christmas. Then, this movie is for you and is sure to tickle your funny bones from beginning to end. 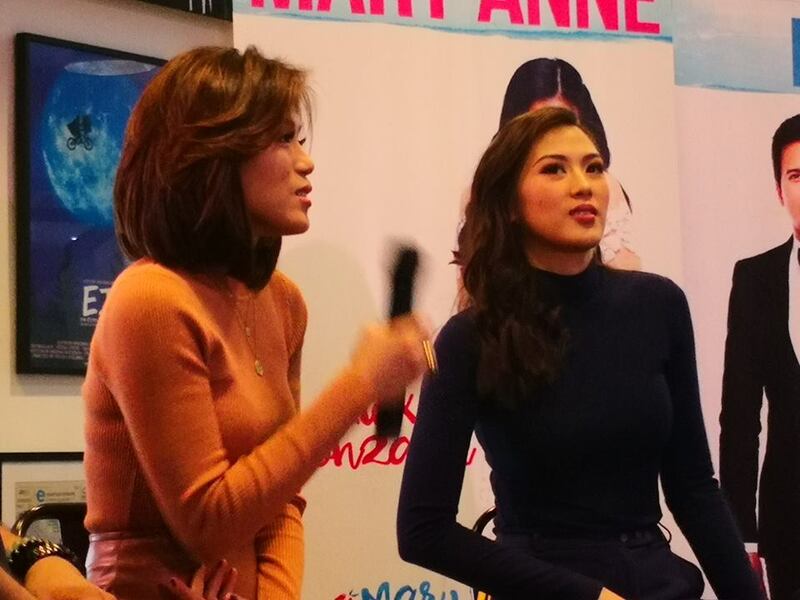 Watch out for Mary, Marry Me under TEN17P's and TINCAN production starring Ms. Toni Gonzaga and sibling Comedienne Alex Gonzaga. They are joined by Bayani Agbayani, Melai and leading man Sam Milby in the movie. Under the direction of RC Delos Reyes. 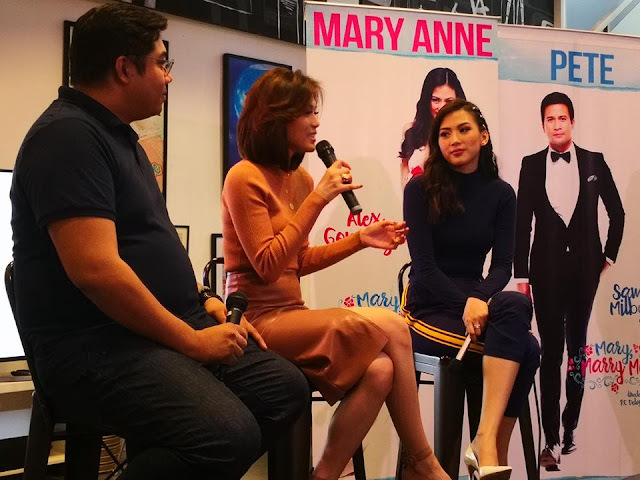 "Mary , Marry Me" cast headed by Ms. Toni Gonzaga just held a mini presscon today at TEN17P La Fuerza, Makati together with sibling Alex Gonzaga and Director RC Delos Reyes. You are cordially invited to the Merriest Wedding of the Year this Christmas day! Family and sisterhood are taking front and center this Metro Manila Film Festival as TEN17P presents a TINCAN production bringing Toni and Alex Gonzaga together in their first ever movie this December 25. Helmed by RC delos Reyes, The Royal Celebrity Siblings are finally making their longtime dream a reality with “Mary, Marry, Me.” After only being seen together in guestings, endorsements and on TV projects in the past, Toni and Alex are debuting in the big screen with a project that redefines “family movie”—in that it is made by a family for the Filipino family. “I remember when we were kids we would always look forward sa MMFF and pipila kami sa isa sa mga movies na gusto naming mapanood. 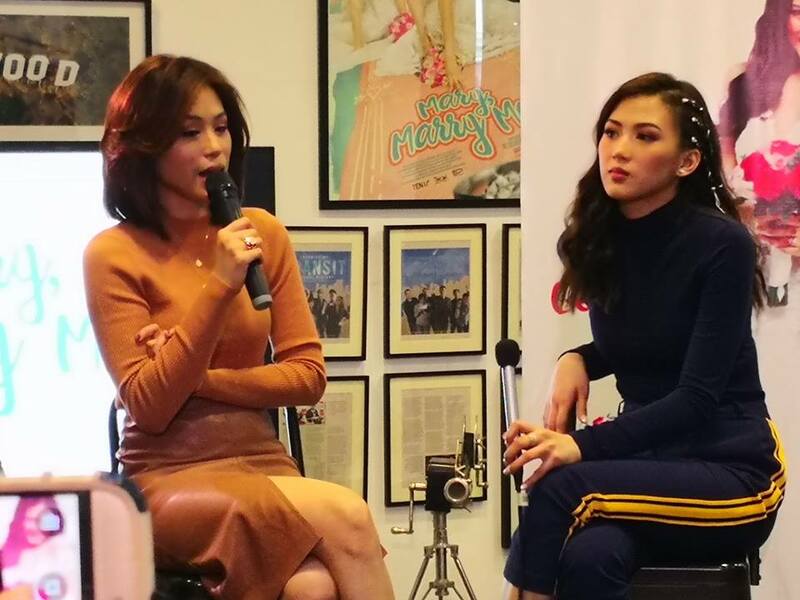 Then fast forward to 20 years later, kasama na kaming dalawa na isa sa papanoorin ngayong pasko,” said Toni. Toni’s returning into the big screen more than a year since her dark-romance film “Last Night” while Alex is coming from her successful independent film “Nakalimutan Ko Nang Kalimutan Ka” . “Mary, Marry, Me” is the story of Mary Jane (Toni) and her estranged younger sister Mary Anne (Alex) who is set to marry the former’s ex-boyfriend Pete (Sam Milby). Despite the initial hesitation, Mary Jane’s commitment to make up to her sister has enabled her to set aside her uneasiness with her ex-boyfriend as she agreed to plan their wedding. Sharing the camera for the silver screen have both been easy and difficult for the Sissums. For one they were able to draw strength from each other and their own tight-knit relationship. Yet at the same time, they’ve also stepped on each other’s toes quite a few times on the set since they know each other too well. “Masaya makatrabaho ang Ate ko kasi una sa lahat feeling mo safe ka, feeling mo at home ka at wala ka sa work kasi nandoon ang Ate mo. 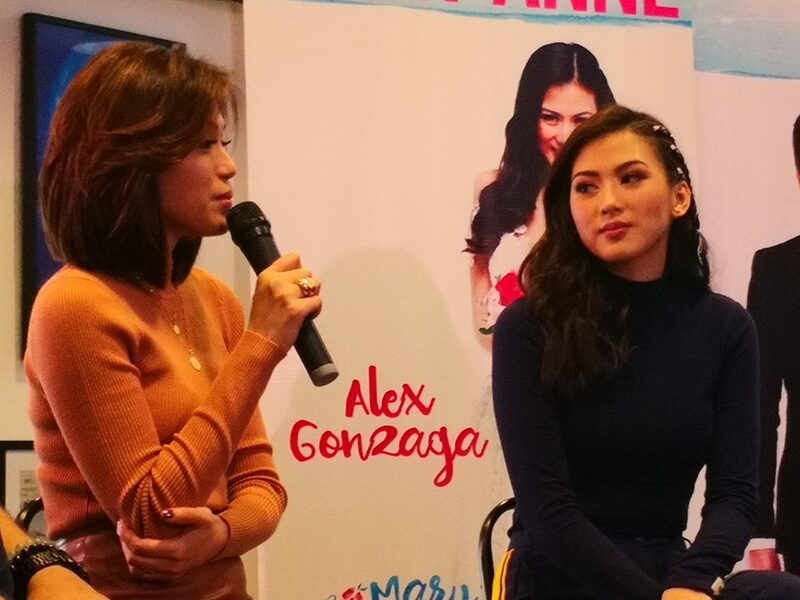 Yet at the same time mahirap rin siya kasi masyadong perfectionist ang Ate ko and masyado rin niyang chinecheck at ino-observe lahat ng galaw ko so parang meron akong nanay sa set,” Alex described the experience of working with her Ate. But, on another end, Alex noted that her sister played a huge part in bringing out her emotions. Although they have always wanted to work with each other in the big screen, the stars never really aligned for them in the past. In fact, Toni pitched “Mary, Marry, Me’s” concept some three years ago. “I have so many concepts in mind and I think we waited for the right time na magkatrabaho kami. Lagi kasing dapat magkakatrabaho kami sa TV until finally, I think this is the right time for us to do a movie together kasi we’re both professionals na to handle our relationship on the set,” said Toni. Making the film extra special are three huge happenings that fans have long been clamoring for. 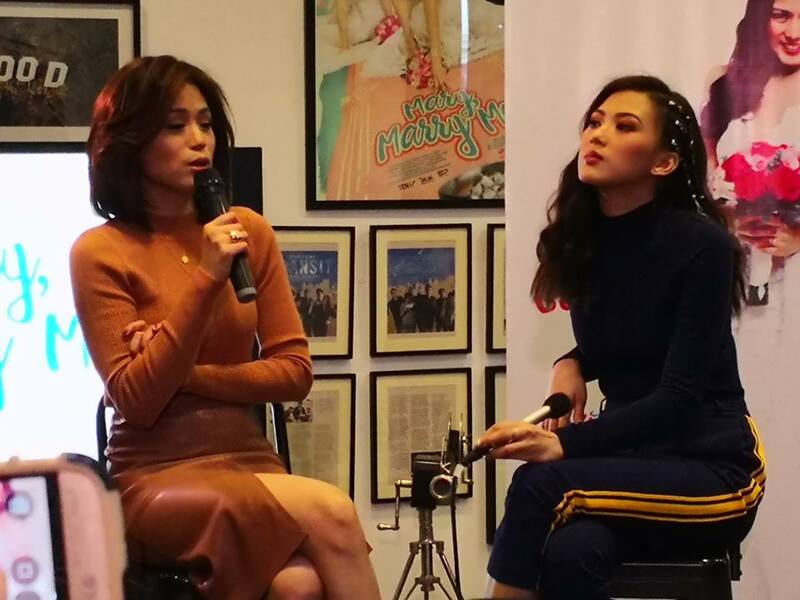 First there’s the reunion of the blockbuster Sam-Tin tandem after 10 years. Sam and Toni have brought kilig to their legions of fans through the films “You Are the One” (2006), “You Got Me” (2007) and “My Big Love” (2008). “Working with Sam is like going back home also, back to where I started because my first full on rom-com was with Sam under Direk Cathy. So parang I feel more comfortable with him now than our previous films because we’ve matured so much as individuals,” said Toni. Second there’s the gathering of comedy stars as the lead stars would be joined by reliable comedians in the person of Bayani Agbayani, Moi Bien and Melai Cantiveros. And finally, there’s the fresh rom-com combination not just by a tandem but by Alex, Toni and Sam. With the MMFF season drawing to a near, Toni and Alex are excited to share their family rom-com “Mary, Marry, Me” to the Kapamilyas all over the country. “Gusto ko pagkatapos nilang panoorin ang ang film eh mas mahalin nila ang mga kapatid nila. Or kung wala ka mang kapatid na mamahalin mo yung mga tao na kasama mo mula sa bata na hindi ka binitawan o pinabayan o hindi nawala sa piling mo. Na mahalaga ang mga taong minahal ko mula noon,” said Toni. Produced by TINCANp under Ten17p “Mary, Marry, Me” by Direk RC delos Reyes stars Toni Gonzaga, Alex Gonzaga and Sam Milby. Joining the stellar cast are Bayani Agbayani, Moi Bien and Melai Cantiveros. “Mary, Marry, Me” is an official 2018 Metro Manila Film Festival entry, which will be showing in cinemas nationwide starting December 25. Don’t forget to follow the film’s official social media accounts to stay updated @marymarrymethemovie on Facebook and Instagram and @marrymethemovie on Twitter. Apart from beinging entertainment, this year’s MMFF is centered on the concept of #SineIsLife.